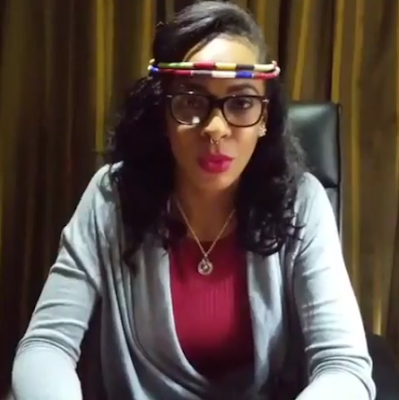 Video; #BBNaija's Tboss finally addresses Kemen Sexual Assault incident.. While in the Big Brother house Tboss was touched inappropriately by fellow housemate Kemen which then had him disqualified from the house. Shortly after the Finale Tboss and Kemen had to meet at events and even had comedians making a joke about the incident which resulted in an outrage from fans and even Tboss' siblings who had to step in to say a thing or two especially their belief that Kemen has no right to enjoy the same benefits as other evicted housemates and that he shouldn't even be at the same events as their sister.. Some fans were however worried that Tboss who is in the middle of this has refused to come out to say anything. Well she heard Y'all as she has now addressed it in these videos shared on her Instagram today. Labels: Video; #BBNaija's Tboss finally addresses Kemen Sexual Assault incident..